Johannes Brahms Arch Romanticist, not Richard Wagner. I am in awe of Johannes Brahms. I have been religiously practicing the six numbers of his opus 118. I hope to eventually make a post playing all six. The key to the romantic era is fusion of melody with counterpoint. Counterpoint is so rare nowadays that I will define it. Ludwig II (German: Ludwig Otto Friedrich Wilhelm; English: Louis Otto Frederick William; 25 August 1845 – 13 June 1886) was King of Bavaria from 1864 until his death in 1886. He stands next to Richard Wagner who is seated at the piano. In music, counterpoint is the relationship between voices that are harmonically interdependent (polyphony) yet independent in rhythm and contour. It has been most commonly identified in the European classical tradition, strongly developing during the Renaissance and in much of the common practice period, especially in the Baroque. The term originates from the Latin punctus contra punctum meaning “point against point”. Brahms is the master. Wagner is dramatic, exciting and on a grand scale. Brahms, however, is the scholarly master of counterpoint. The romantic era revived counterpoint. One era contrasts another. Melody with accompaniment mostly characterized the rococo period and the classical. To be different, the romantics revived counterpoint as an art form. My opinion is that Brahms is better at counterpoint that Wagner. The collection of Opus 118 is filled with masterpieces of this genre. No. 4 is mostly a continuous “round.” The right hand plays one bar of music. In the next measure the left hand plays the same. In that same measure, the right plays a new aspect of the melody. In the next measure, the left hand plays the same… I think that Tal-Haim Samnon in the youtube video has an excellent approach. Conclusion: Melody and counterpoint fused together are hallmarks of the Romantic era. In my opinion, Brahms is its outstanding representative. Proper Musical Rendition Has Multiple Choices. For this blog I reference one of my favorite books, Inside Music by Karl Haas. Karl Haas (December 6, 1913 – February 6, 2005) was a German-American classical music radio host, known for his sonorous speaking voice, humanistic approach to music appreciation, and popularization of classical music. He was the host of the classical music radio program Adventures in Good Music, which was syndicated to commercial and public radio stations around the world. He also published the book Inside Music. I grew up in Detroit. Karl Haas was one of the Detroit’s musical luminaries. When I started to play the piano at age 11, I composed a piano concerto in Eb minor (six flats). Also, at my 1st year piano recital I played the entire Moonlight Sonata by Beethoven from memory. I still play it at on St Armand’s Circle at the Crab and Fin Restaurant. See events on DSOworks. After this initial start, my father then took me to Karl Haas for an interview. Haas was giving some piano lessons to a few students. 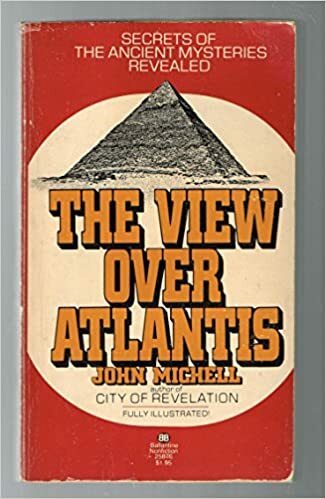 He was getting busy with his radio program on WJR in Detroit so he recommended that I go to Mischa Kottler. Kottler was the head of the piano department at Wayne State University. I also began a 20 year association with Rubinoff and his Violin through the college. Here’s how it happened: I had just completed a piano lesson with Mischa . Mischa had his studio next door to the Liberal Arts Music Office. Rubinoff called the office as a was walking past. He was looking for an accompanist/arranger. Professor Morris Hochberg summoned me in to talk with Rubinoff. The rest is history. By special request, here is a story about Rubinoff And His Violin – The Fascination Waltz (1905) and how he approached the music with style and finesse. Rubinoff both questioned and interpreted music in countless ways. Typically he would try difference rhythms, as I explain in the youtube video. He would change phrasing: Which notes to emphasize, or which to drop off on. The point is, the public loved his interpretations. If the proof of the pudding is in the tasting, his pudding was great. Some years in the 1930’s he could make $500,000.00. Conclusion: Success in music, as well as in in other disciplines, is based on questioning and analyzing the subject at hand in great depth for proper musical rendition. Learning Piano With Mischa Kottler Thanks to My Dad. This blog is in memory of my father. Much of the content will be in my eulogy for my father, Bernard Ohrenstein. He just passed away at age 97. Dad was from Poland. He was a survivor from four years in the camps. 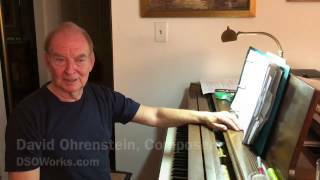 My father, Bernard Ohrenstein, saw to it that I studied with the best piano instructor, Mischa Kottler. My father saw I had a flare for piano and composing. This was at age 11. He did everything possible to nurture that. I began composing as soon as we got the piano. He arranged for a solo concert of my eastern European flavored music at the local synagogue in Detroit. I was 12 years old when I played the concert. Later that year wrote a musical play. He arranged for a presentation with renowned Detroit Mi and Louisville Ky cantor, Joseph Birnholtz. I had been studying piano with a Mrs. Foster. At my 1st year recital I played the entire Moonlight Sonata by Beethoven from memory. Dad then took me to the best, Mischa Kottler. Mischa was considered the finest teacher and prima piano player of Detroit. He headed the piano department at Wayne State University. He was the official pianist of the Detroit Symphony. He had his own radio program with WJR, On it, he played a different program every Sunday. My father paid for my college education and piano lessons with Mischa. It gets better: When 1st accepted by Mischa, you were placed on a waiting list. Lessons could even be 2 months apart. So what did my father do? Being a jeweler, he made a solid gold ring. He then sent the ring to Italy to finest craftsman. The head of Beethoven was carved intaglio on a sardonyx stone. Beethoven was set into the ring. My father’s plan worked. I got regular piano lessons. Mischa wore the ring at every concert he gave. It was his pride and joy. So what came of my learning piano with Mischa? Even at my current age, I play six nights weekly at the Gasparilla Inn. There, I’ve entertained two American Presidents. Guests have also included members of the British House of Lords. I am currently completing my 8th year. 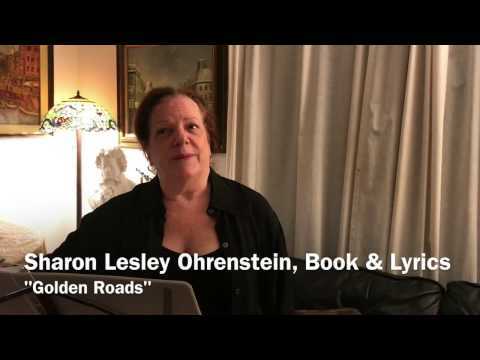 I married a wonderful book writer-lyricist, Sharon Ohrenstein. Together, we write and produce shows. Below are short youtube samples. They are from our newest show entitled, Golden Roads. Thanks to my dad (and mom, of course) I’ve had a wonderful life filled with love and music. My advise to parents with children: Do any of the following: Give them piano lessons. Teach them to sing; or, to play any other instrument. Joy for everyone will follow. Feel free to share this with friends. Having Fun Playing Piano on Main Street. My gosh, it’s like the good old days. Back to the 1960’s when everyone wanted a piano player. In the 60’s I was already playing piano professionally. At the time, I was living in Detroit. For years I was the Sunday brunch pianist at the Oakland Hills Country Club. They held the PGA’s there. That also included house parties galore. I was once told that the two best things about the club were (1) The recent addition of sirloin steak to the brunch menu. (2) My piano playing. I enjoyed playing contrasting numbers. People loved it. Frequently I would play Scott Jopin’s, The Entertainer, This would be followed by Chopin’s Nocturne in Eb (theme from the Eddie Duchin Story). My piano style was described as having sartorial eloquence. Thank the Good Lord, after all these years, I’m still ably playing for fun or at sartorially eloquent places. 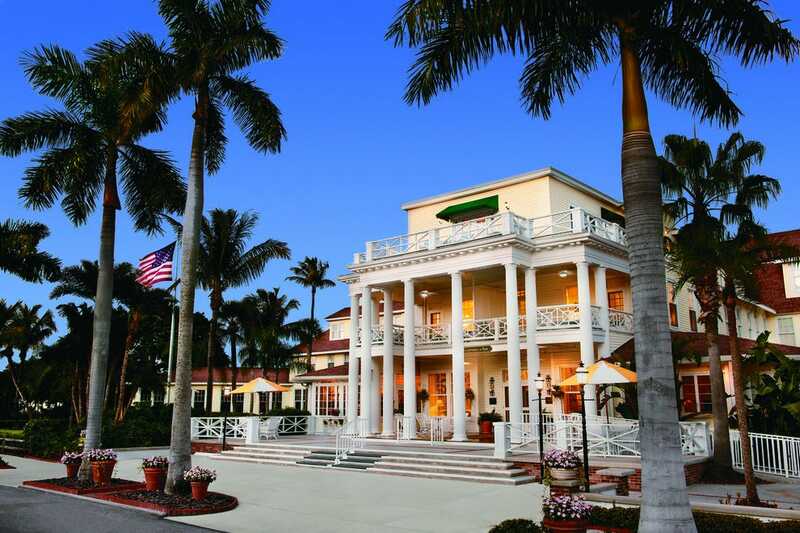 I am just completed my 8th winter season having fun playing piano at the Gasparilla Inn. https://www.merriam-webster.com/dictionary/sartorial It’s easy to uncover the root of sartorial. Just strip off the suffix -ial and you discover the Latin noun sartor, meaning “tailor” (literally, “one who patches or mends”). It can be used for many descriptions as: The wedding party arrived in sartorial splendor. I strongly identify with the “father of the symphony orchestra”, Joseph Haydn. He was the court musician, conductor and composer for the Austrian family, the Esterhazys. The Austrian prince passed away. Then the king of England employed Haydn. The composer accepted a lucrative offer from Johann Peter Salomon, a German violinist and impresario. Haydn then visited England. There he conducted new symphonies with a large orchestra. The choice was a sensible one because Haydn was already a very popular composer there. Since the death of Johann Christian Bach in 1782, Haydn’s music had dominated the concert scene in London; “hardly a concert did not feature a work by him” (Jones). Haydn’s work was widely distributed by publishers in London, including Forster (who had their own contract with Haydn) and Longman & Broderip (who served as agent in England for Haydn’s Vienna publisher Artaria). Efforts to bring Haydn to London had been undertaken since 1782, though Haydn’s loyalty to Prince Nikolaus had prevented him from accepting. Haydn, of course, wrote the London Symphony as a thank you to the British king. I am also a composer. Frequently I play my own music. One of the favorites is my own theme and variations on “Aura Lee.” Elvis turned it into Love Me Tender, I have been working at the Gasparilla Inn for the last 8 years. Like Joseph Haydn, I suggest to all artists seeking employment: Follow the rules of etiquette. Perhaps that is also a good rule for anyone seeking employment.Below is a picture of some of the “royalty” that have stayed at the Inn. I’m there 6 nights weekly through Easter. Minute Waltz Glimpse of Chopin’ Genius. When a genius creates, everything he or she does is great. Such is the piano music of Frederic Chopin. The Minute waltz has a touching story attached to it. It was inspired by a dog. The dog belonged to his muse and girlfriend, George Sand. The waltz was published by Breitkopf & Härtel. It was the first of three waltzes in a collection of waltzes called Trois Valses, Op. 64. The publisher gave the waltz its popular nickname “Minute”. The tempo marking is Molto vivace (English: Very fast, very lively), but Chopin did not intend the waltz to be played in one minute as some believe. A typical performance will last between one and a half to two and a half minutes. The treble staff has the 2 beat motif of four eighth notes in measures 1 and 2. The motif is repeated many times during the waltz. The scale that follows in has 8 eighth notes. They cover 4 beats. Measures 4 and 5 have a dotted quarter note beginning each measure. The entails 1½ beats each. Also in 4 and 5, following the dotted quarter are 3 eighth notes. Each 3 note phrase lasts for 1½ beats. So Where Can I Hear David (this blogger) Play Chopin’s Minute waltz? I am still booked six days a week through April 14 at the Gasparilla Inn. It is on the Florida isle of Boca Grande. There I get my choice of 2 vintage steinway Grand pianos. I played in the “living room” from 6:20 to 7:00 pm. Then I go in the dining room and play from 7 – 9 pm. See you there. Career – Circumstances that Bolstered Beethoven’s. Here is a brief summary of his accomplishments from Wikipedia: Ludwig van Beethoven (baptized 17 December 1770 in Bonn – 26 March 1827 in Vienna) was a German composer. He wrote classical music for the piano, orchestras and different groups of instruments. His best-known works are his third (“Eroica”), fifth, sixth (“Pastorale”) and ninth (“Choral”) symphonies, the eighth (“Pathetique”) and fourteenth (“Moonlight”) piano sonatas, two of his later piano concertos, his opera “Fidelio”, and also the piano piece Für Elise. When he was a young man, he was a talented pianist. Beethoven was popular with the rich and important people in Vienna, Austria, where he lived. So, What Bolstered His Career? Obviously, he played for rich and important people. But, he also held his music in the highest of esteem. Higher than even the royalty, At the time he lived in Vienna. It was the day of the amateur pianist. Aristocrats played the piano. They had a conception of how difficult mastery was. Prince Ferdinand Josel Lobkowitz was one of three that guarenteed him a life long income as long as he stayed in Vienna. This Prince had his own quartet. He played music all day long. Archduke Rudolph was a pianist who took lessons with Beethoven himself. He contributed to his income. The 3rd was Prince Ferdinand Kinsky. He loved vocal music. The times, Beethoven’s location and his incomparable genius launched his carrer. You could say, the right person at the right time. If the times are not quite right for you, be patient. Times also change in cycles. We are over due for lots of wonderful new happenings in the arts. I have a special connection to Beethoven. It is being 5 generations removed by teaching lineage. Beethoven taught Carl Czerny. Czerny taught Franz Liszt. Liszt taught Emil von Sauer. Sauer taught my piano teacher, Mischa Kottler. I studied with Kottler for some 15 years. One of Beethoven’s inventions, I was told, was the prepared thumb. Also, the 2 note phrase was used to “divide and conquer” many difficulties. Enjoy my youtube presentation called the Paris Piano connection. 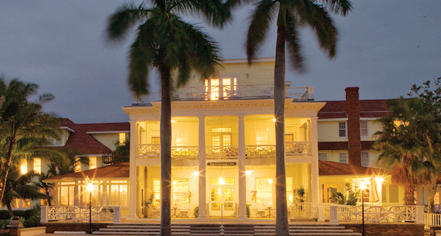 You can hear me play 6 nights weekly at the Boca Grande Gasparilla Inn. 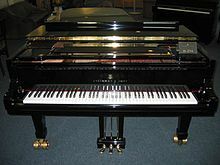 I have a just newly reconditioned 1924 Steinway concert grand. This will be my 8th year of 6 nights weekly from Dec. 20 – April 14, 2017. I also have a couple of openings for piano lessons in Sarasota. The Beethoven tradition of my lineage of teachers must be kept alive!